A "RACE SPEC" HT BRASS saddle that fits between gearstick and gearbox selector shaft. The plastic standard Ford saddle often wears badly and causes the gearstick to be sloppy when changing gear. 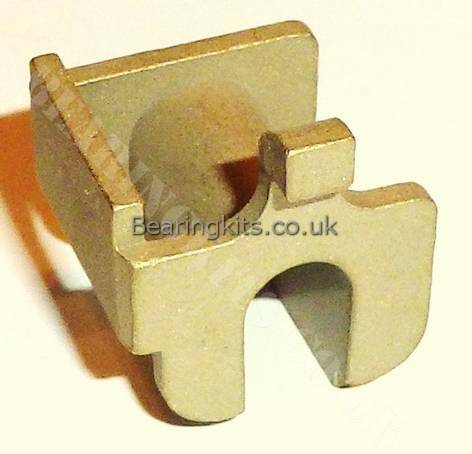 This HT brass replacement is more hard wearing and ideal for race conditons where harder gear changes are common. Fit a new saddle to obtain a more positive gearchange. Clip on to selector shaft and slightly sqeeze "tabs" to hold in positon while fitting stick.